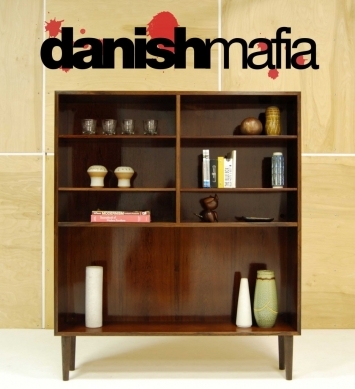 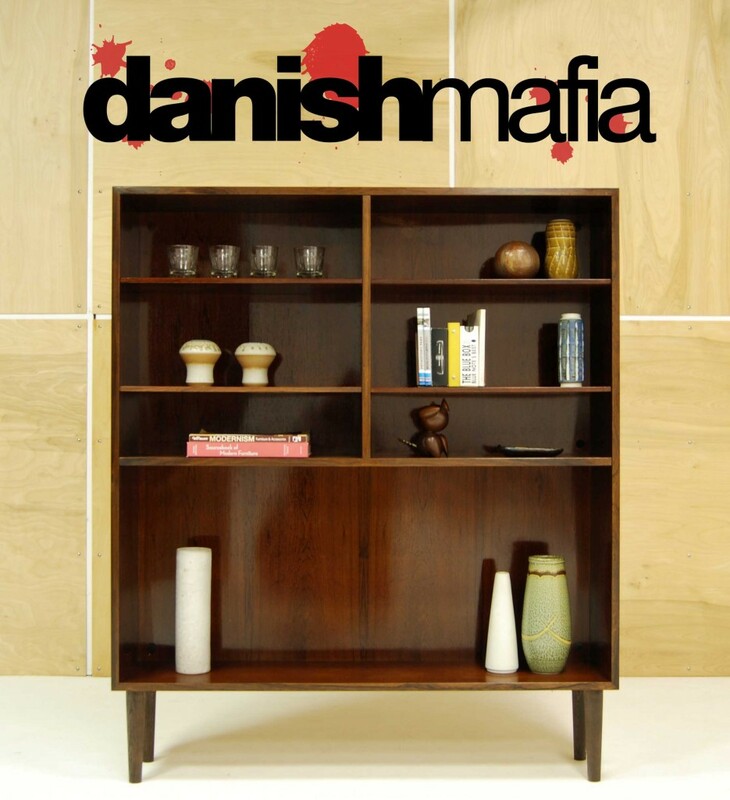 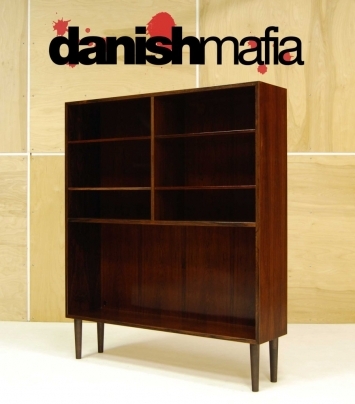 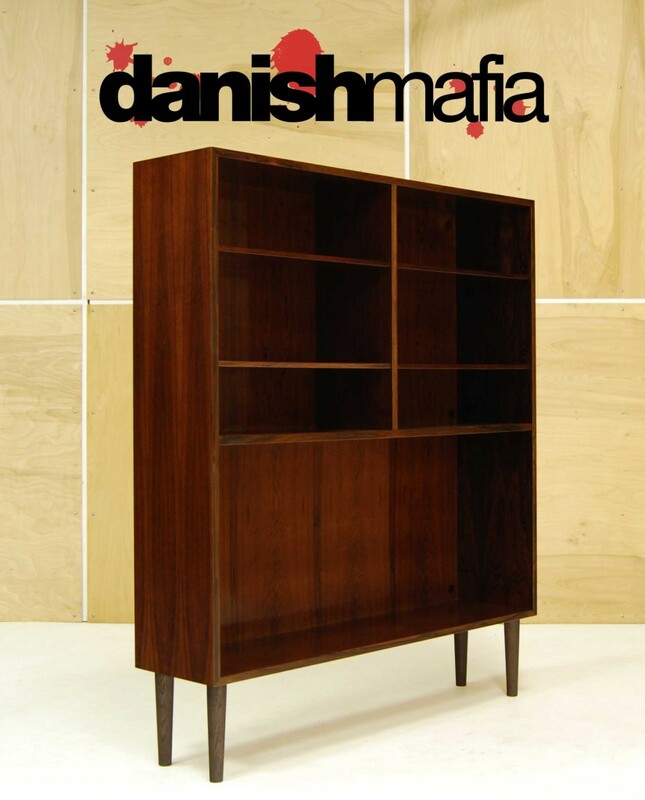 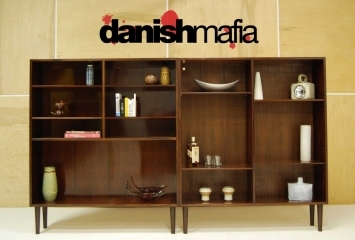 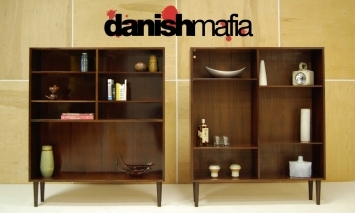 This listing is for a stunning Danish Modern Rosewood Book Shelf or Display Case by famed designer Omann Jun. Very functional for storage or display of your Mid Century Modern Knick Knacks or books.With a total of 4 adjustable and/or removable shelves, you can’t go wrong! 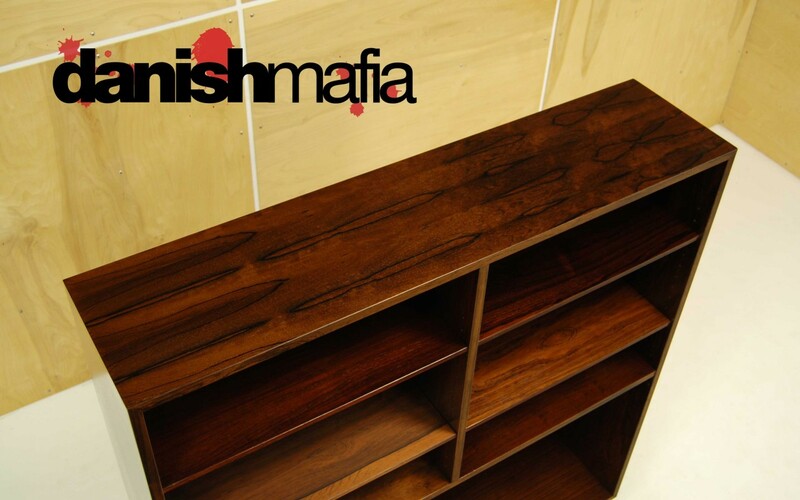 The finished Brazilian Rosewood Interior just adds to the beauty. The color and exotic Brazilian Rosewood grain is exceptional !! Sitting atop 4 “pencil” legs gives this piece the Modern Floating look that is so sought after by decorators. 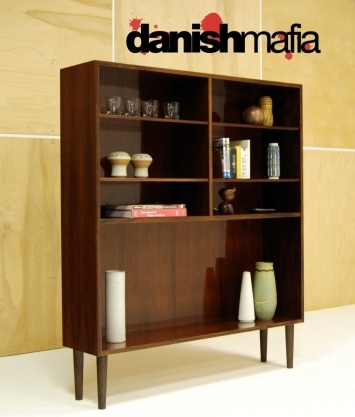 The piece can easily be placed along a wall in your office or home. 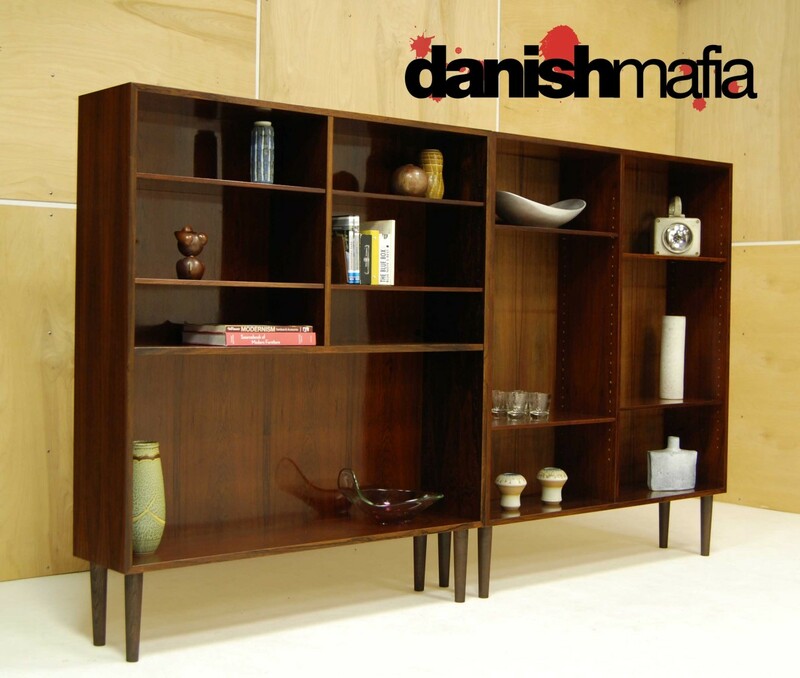 We have pictured this piece with another Rosewood Omann Book Case available in our other listings, purchase both and have an AMAZING amount of display and storage!